The nearest spot is Goryokaku Park, superb view from Goryokaku Tower, restaurant &amp; dining. Because it is wide efficiency, a couple, a friend, a family, traveling alone, a business trip tourist can use it. 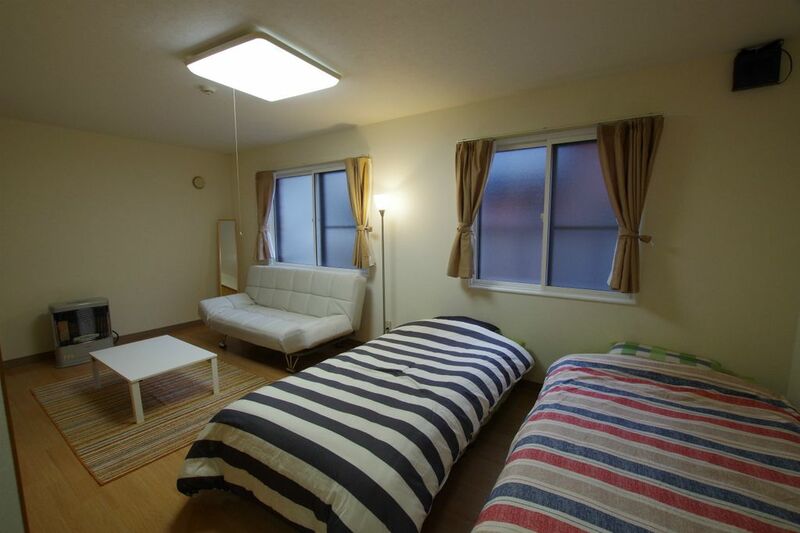 The capacity is 3 people for one apartment. All the rooms are available. But please do not touch the box in the closet. Please talk about consultation of the sightseeing, the place of the meal willingly. If there is time, I can go together. 1.Because the person who used the room before kept a pet, a smell remains a little. I put an ion generator in the room. 2.Because the emergency hospital is near, it may be convenient. Goryokaku is the center of Hakodate It is lively in a izakaya and a bar at night in an area with many restaurants. There are many people who I enjoy jogging early in the morning in Goryokaku Park nearby and take a walk. I take a tram from Hakodate station and at about 17 minutes, get off at Goryokaku park trolley stop. It's 7 minutes on foot from there to the room. There is coin parking near.